Since April 2017, relations between the United States and North Korea have been steadily deteriorating from their already low point. Today, we see a crisis between Pyongyang and Washington unlike any since the end of the Korean War. In recent months, both Pres. Donald Trump and North Korean supreme leader Kim Jong Un have repeatedly used expressions unimaginable just a few years ago. Promising to subject North Korea to “fire and fury like the world has never seen,” Trump in August 2017 embarked on a verbal battle with the leader of North Korea on Pyongyang’s terms, effectively lowering the U.S. president’s status to the level of a local dictator. Given the role the United States claims in the world, mutual insults and threats that cannot be acted upon only undermine the country’s authority, and have a negative impact on the established system of international security and nuclear non-proliferation. Why can’t America back up Trump’s boasts? Look at the risks. If last year many experts dismissed the technological level of North Korea’s military, believing that the country did not have nuclear charges compact enough to be installed on ballistic missiles, then according to the recent CIA data and a report by the Defense Intelligence Agency, North Korea already produces nuclear warheads of the required size. Moreover, the country’s nuclear arsenal may already consist of 60 warheads. North Korea has a large arsenal of tactical ballistic missiles and short-range ballistic missiles — with a range up to 1,000 kilometers — and is actively developing intermediate-range and intercontinental ballistic missiles. 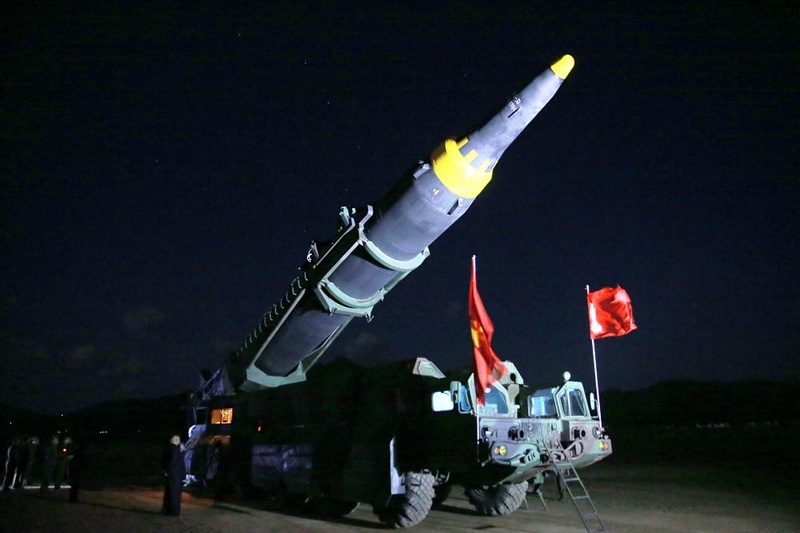 Since May 2017, Pyongyang has carried out three successful tests of the Hwasong-12 missile, which, according to various estimates, is capable of hitting targets at ranges from 3,700 kilometers to 6,000 kilometers. Even if we take the minimum assessment of the firing range into account, the U.S. military base on the island of Guam is within the impact zone. 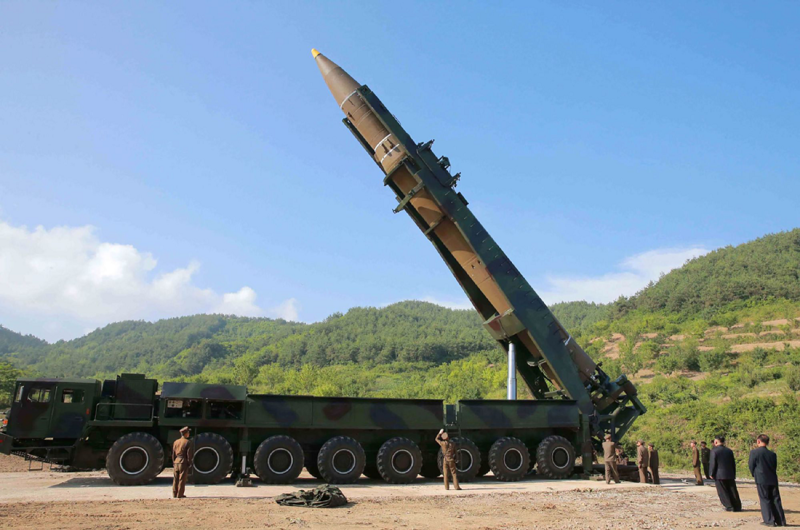 An even larger threat comes from the planned Hwasong-14 intercontinental ballistic missile, of which North Korea has conducted two successful tests on July 4 and July 28, 2017. During the second test, this two-stage rocket was launched on a trajectory with an apogee of 3,724.9 kilometers, landing 998 kilometers away in the Sea of Japan. According to experts, a rocket flying along this trajectory could cover 10,000 kilometers, placing within range cities on the West Coast of the United States. By analyzing the information above, we can draw an initial conclusion — war with North Korea is already an extremely dangerous venture, which could lead to the destruction of the cities of American allies, South Korea and Japan, as well as the U.S. military bases in the region. It does not matter how this war will end for North Korea — the cost will be too high for the United States and its allies. North Korea itself does not intend to attack, as the main goal of the ruling regime is to preserve its own power. And in five to six years, North Korea will probably possess a significant arsenal of Hwasong-12 and Hwasong-14 missiles, establishing nuclear deterrence against the United States and any other country in the world. As we can see, a preventive strike on North Korea is a very risky venture, and is unlikely to be approved by South Korea and Japan. In such conditions, threatening North Korea with military action is an unwise move. The consequences include the weakening of the nuclear non-proliferation regime, because if the arbitrators make empty threats, then belligerent governments will feel emboldened and press ahead with their atomic programs. This task does not present significant technological difficulties in the 21st century for a number of countries, including Iran. The confrontation with North Korea has also encouraged its isolation from the rest of the world. As a result, after almost all possible sanctions were imposed against North Korea, Pyongyang became independent of external players by developing domestic industries capable of supporting its regimes’ policies. Today, the world community has few real levers of pressure on North Korea, while the population of the country itself sees nothing but the ruling regime’s propaganda, which regularly boasts of enormous victories against the West and its allies. In such conditions, the people tend to rally around the existing leadership of the country, making a popular uprising unlikely. North Korea’s military power and nuclear forces will only grow stronger, making it increasingly difficult to reach a peaceful solution. A military solution to the conflict was a difficult and dangerous path for South Korea even before Pyongyang acquired nuclear weapons. Nor should we forget about China — this country continues to support North Korea, and its state media has suggested China will intervene in the event of a preemptive attack. This is despite the possibility that Beijing, apparently, may have lost control of its former satellite. Building good relations — albeit insincerely — with North Korea, accompanied by the promotion of Western culture and goods would have been a much subtler and effective solution to the problem. In the past, the West made similar attempts, but these efforts were not persistent enough and did not have the desired effect. Unfortunately, we have to live with the reality that North Korea may have already become a regional nuclear power, and there is practically no way to force the regime to abandon nuclear weapons short of an all-out, massive war with increasingly negative consequences for East Asia. To implement a correct policy toward Pyongyang, the world community must first take into account a nation’s behavior when it has nuclear weapons, as was done with India and Pakistan in the 1970s and 1990s.